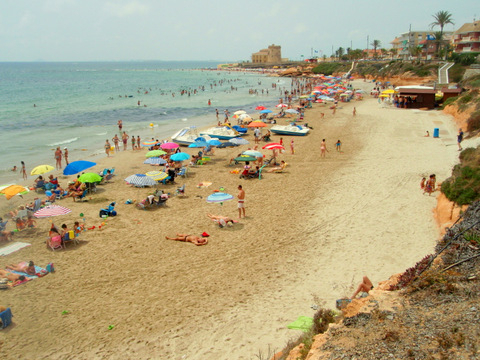 The attractions of Pilar de la Horadada and La Torre are many and varied, but almost without exception visitors to the municipality are attracted by one outstanding feature: the beaches. 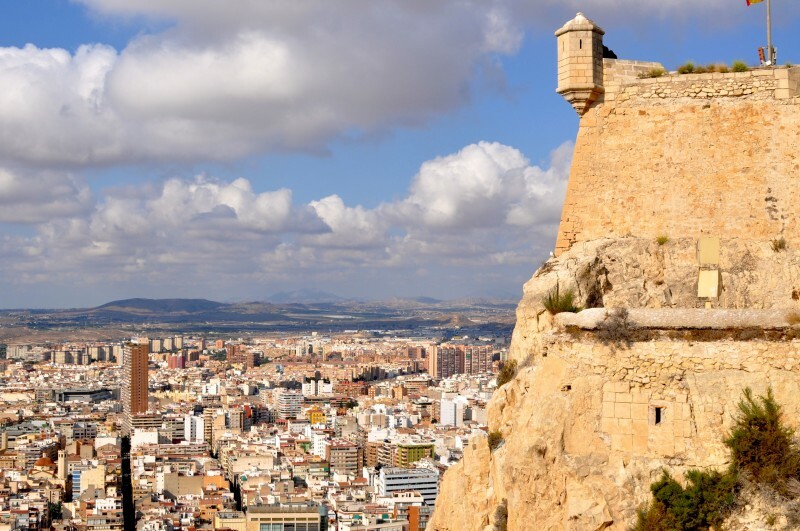 The coastline of the municipality is only five kilometres long, but almost all of this distance is lined with fine white or light yellow sand which has attracted the population of the city of Murcia and visitors from further afield for many decades. Over the last twenty years the bathing clientele has become more international, and it’s not hard to find a full English breakfast if you really want to, but essentially this still remains a fundamentally Spanish holiday destination and seafood and paella are still far more in keeping with the spirit of the area. 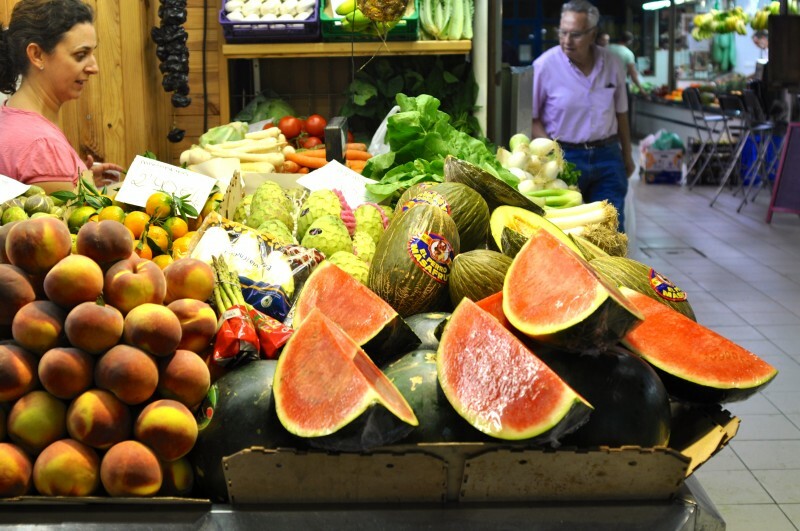 Those planning to eat on the beach will be in the company of Spanish families enjoying their traditional beach fare of potato omelette or lomo sandwiches, along with a well-stocked cool-box. 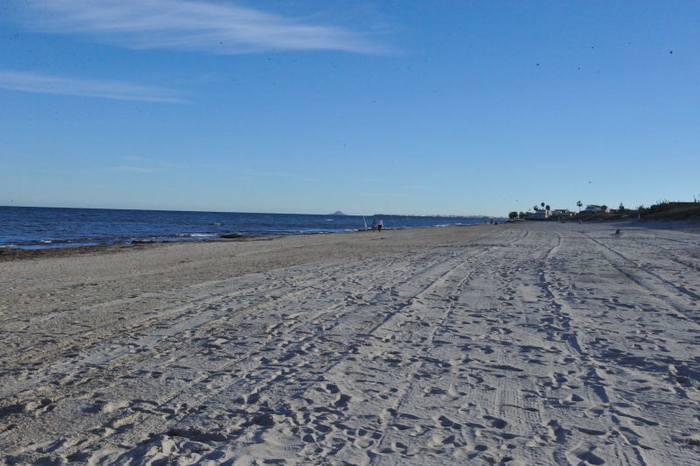 All of the beaches are within or next to urban areas which began as small urbanizations in the mid-20th century and are now well-established residential zones which run into one another. 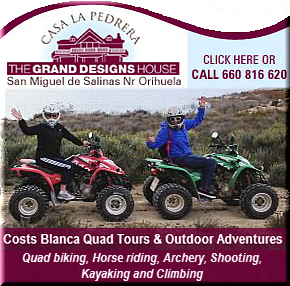 The only exception to this is the very southernmost end of El Mojón, which borders on the nature reserve of the salt flats of San Pedro del Pinatar where the beach is wide and open with just a walkway and no residential construction close behind it. 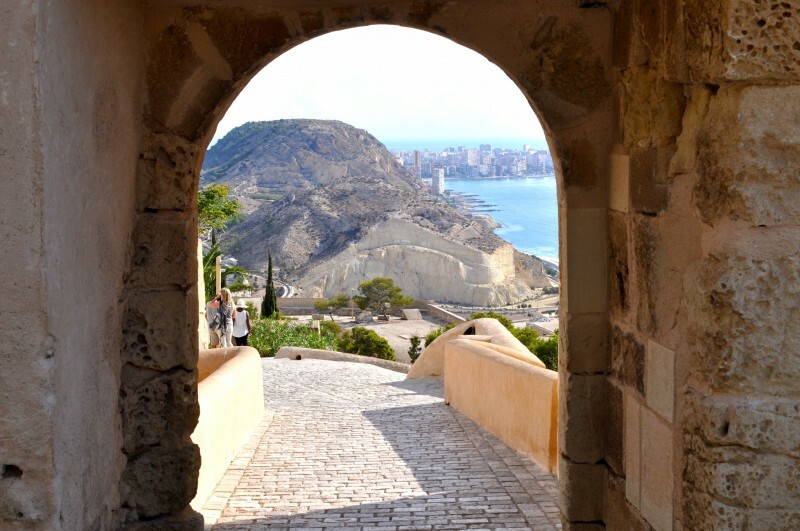 Although they are not so well populated during the winter there is sufficient activity for the area to remain active even during the colder months of the year, and of course in summer they are packed with Spaniards getting away from the city and foreign visitors seeking the sun. The facilities are complete and the sand is beautifully looked after ensuring that the beaches are clean: if the Spanish flock here there must be a good reason! All of the beaches have a summer lifeguard presence during the summer months and have ample facilities including footwashes, wooden walkways,restaurants, toilets and equipment for hire. 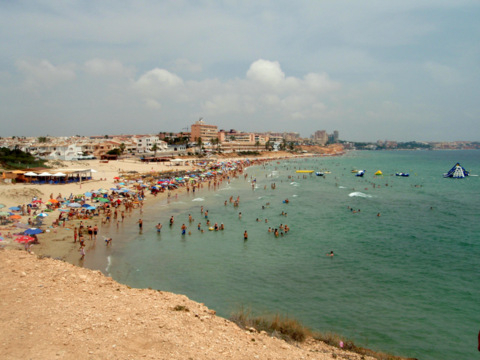 All of the beaches in Pilar de la Horadada are recognized by Qualitur. 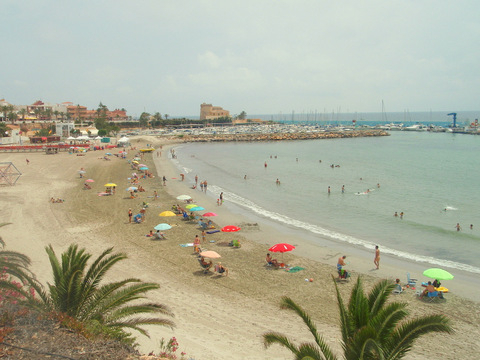 The beach area of the Pilar de la Horadada municipality is called Torre de la Horadada which is a five-minute drive from the main urban nucleus of Pilar de la Horadada which has the main bulk of the retail shops, supermarkets, council offices and tourist office and church. 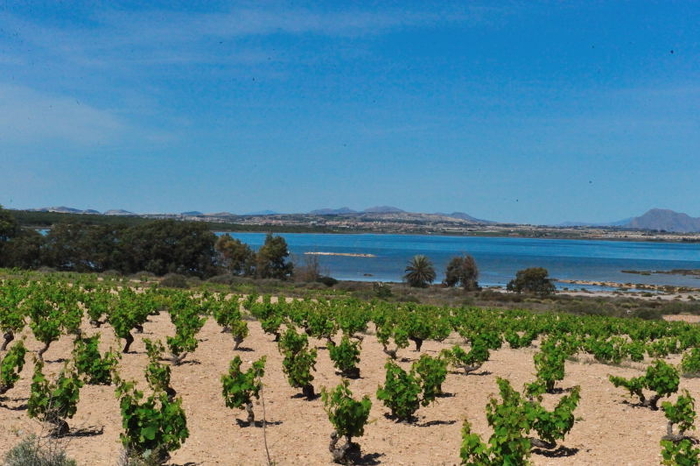 Although development at the beach started with different, separate developments, they have now all more or less joined together to form the areas of La Torre de la Horadada in the south and Mil Palmeras in the north, which are separated by the dry gully of the Río Seco. Theoretically the northern end of La Torre is called Pueblo Latino and the southern end is El Mojón, but there is no clear division between these areas. 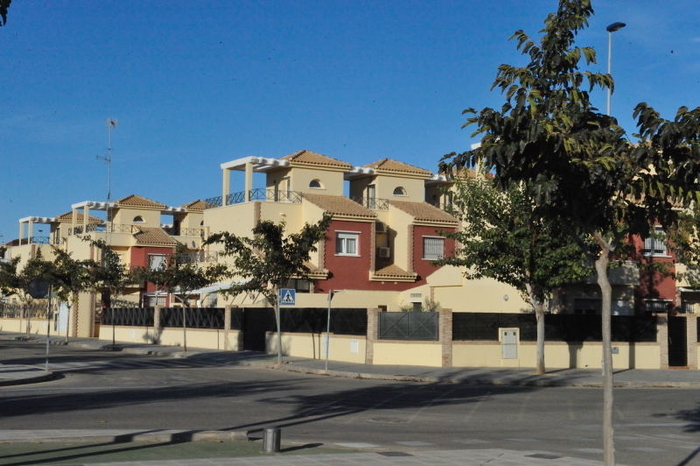 If looking to rent for the holidays, you’ll find the central areas of Torre de la Horadada more concentrated, the streets narrower, with an assortment of different types of properties. These vary hugely in size, from individual villas on their own plots to small apartment blocks, all squashed in together with established gardens, trees in the streets and a generally busy feel. 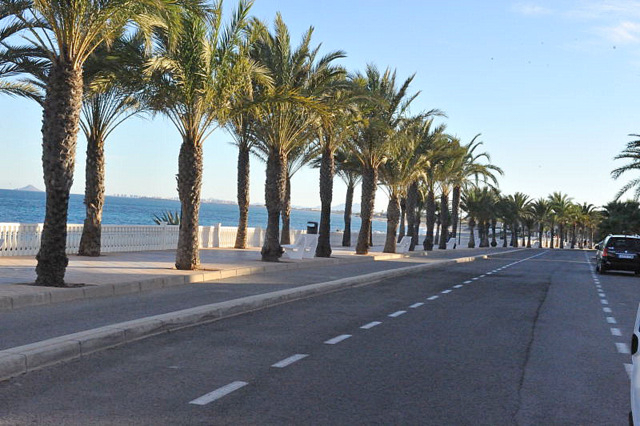 Parking is at a premium in the summer in these areas, which are popular with Spanish families, creating a lively, friendly atmosphere. 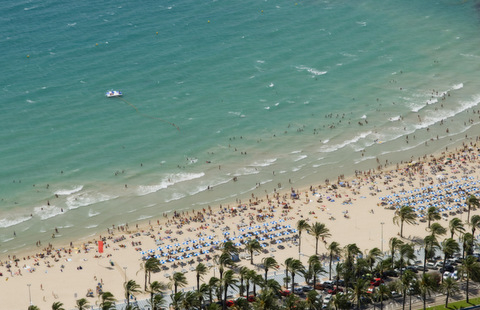 The beaches in the middle area tend to be smaller and with higher density in the summer, although have lots of restaurants and facilities nearby. 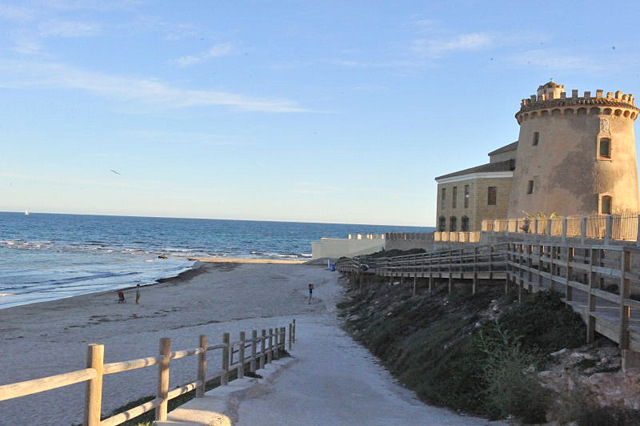 The newer developments are on either side of the Torre de la Horadada nucleus, which itself is around the old watchtower on the tip of the headland. 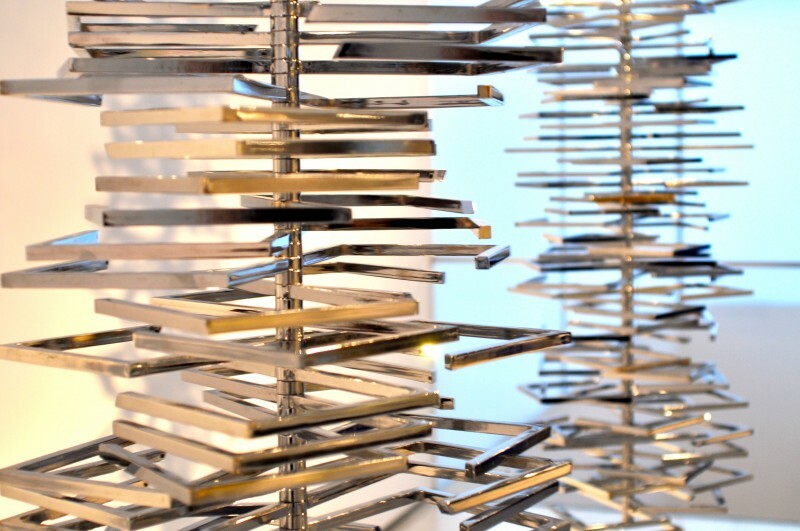 These developments are more open, the streets wider, and the properties both newer and lower density. 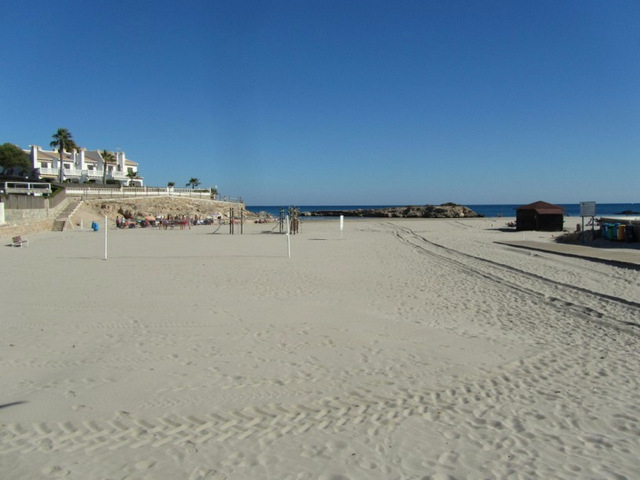 The beaches are more accessible for those with mobility difficulties and the beaches are much larger, with glorious soft sand and backed with dunes and garden areas. Parking is a lot easier in these outlying areas and the whole feeling is a lot more open, although they don´t lack facilities with beachbars and kiosks nearby. 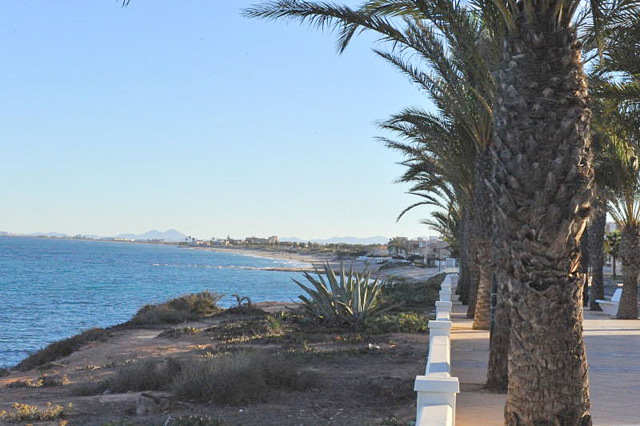 There are paseos amd walkways right the way along the coast, one linking to the other, creating a lovely place to walk and exercise along the beachfront. The landscape changes along the coast. Ed’s favourite beach: Playa Higuericas due to the easy parking, dunes, gorgeous soft sand, wooden walkways, landscaped gardens and lower density. Playa El Mojón: the southernmost beach in the region is bordered by the salt flats of San Pedro, and the dunes give it a wilder feel than other more central areas. Click Playa El Mojón.